I’ve always been interested in gadgets and technology and I’ve always been a reader. 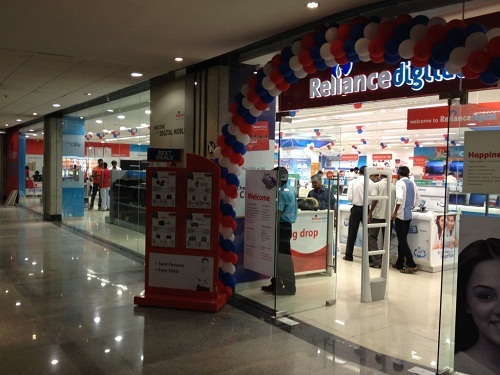 Recently I was invited to visit Reliance Digital Store at Times Square Mall in Andheri-Kurla Road, which is actually an invitation from Indiblogger Community. It was on 9th of june on Sunday, heavy rains throughout day and it was not far from my home, It barely took around 20 minutes to reach there. One of the best thing about that Store was “One of the biggest Reliance Digital Store I have Seen” and Second best thing is “A lot of Latest Gadgets around you” which includes top brands like Apple, Samsung, Sony etc. You can get almost any latest Gadgets including Smartphones, Laptops, Cameras, Television, Audio System and much more and even you enjoy discounts and offers. Now its time to start what actually happened in the Store – As per my knowledge every blogger who visit Reliance Digital Store at given dates would be eligible for a Reliance Digital Goodie Bag and after writing their experience about the visit they will be eligible for an Ipod Shuffle. As soon as I reached there I flashed my Indiblogger Invitation mail and asked about the same, Guess what next “they don’t even know about the Indiblogger Contest. One of the salesgirl asked me to wait for 10 minutes so that she can confirm with the store manager. After 5 minutes she came back asked me to write my name and mobile number on the Indiblogger Invitation Copy. She returned the original one after taking a Xerox copy of invite. I asked about the Goodie bag “She responded after like 1 minute that it will be delivered to my postal address” , Ok now you can leave. I asked her “Can I wander for minutes Inside the store since it was raining outside very badly” She said its Ok go on. I tried around 5-6 Smartphone Including Blackberry and some Television and It was a nice experience and awesome move from Indiblogger Team to arrange such meets and on other hand I would like to suggest that arrange similar types of meeting in every metro city. I am still waiting for my Ipod Shuffle. Thanks to Indiblogger and Reliance Digital for such as extraordinary experience. Photo to Mantri Square ka lag raha hai….